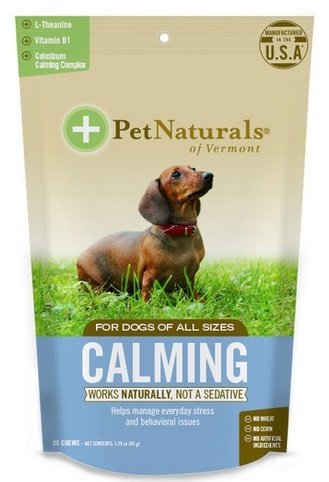 Pet Naturals of Vermont's Calming for Small Dogs is natural product that helps alleviate stress related behavior problems without affecting your dogs personality or energy level. 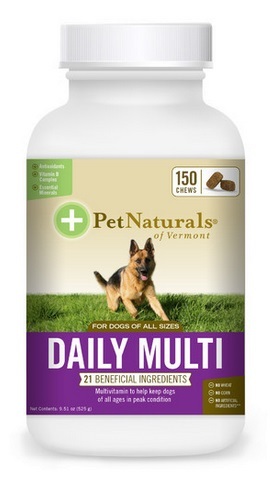 Pet Naturals of Vermont's Daily Best is a comprehensive formula for the support of hip, joint, and connective tissue functions in dogs at any stage of life. 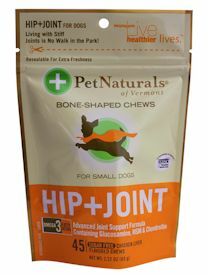 Pet Naturals of Vermont's Hip + Joint for Small Dogs provides support for joint health and comfort in a delicious chew for easy delivery. 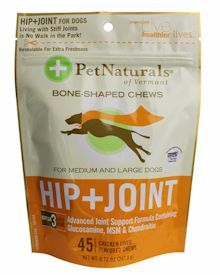 Pet Naturals of Vermont's Hip + Joint for Medium and Large Dogs provides support for joint health and comfort in a delicious chew for easy delivery. 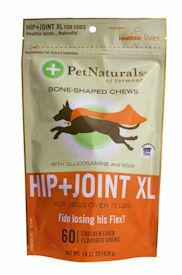 Pet Naturals of Vermont's Hip + Joint XL is a comprehensive formula to support joint health and comfort in dogs over 75 pounds.